OBD2 scanners have become a necessity when it comes to checking and clearing engine light errors and other abnormalities in the car. They not only help you save money by reducing trips to the mechanic but also help you keep your car well maintained. VEEPEAK scanners are excellent at being compatible with many car brands. They also offer an excellent performance and come with several features. It lets you perform many basic functions and a few advanced ones. too. However, Veepeak OBD CHECK BLE doesn’t come with an app of its own and must be used with a third party app. 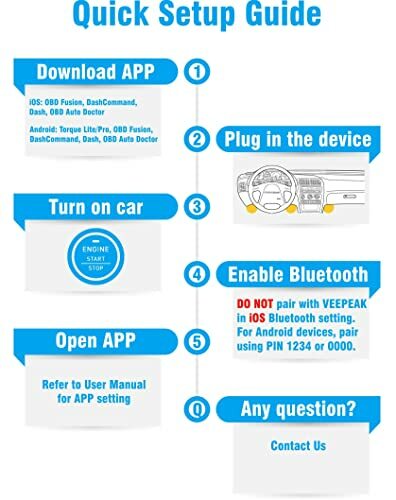 If you are in search of a veepeak obd2 adapter that offers Bluetooth connectivity then Veepeak OBD CHECK BLE is the right fit for you. It lets you perform many basic functions and a few advanced ones. too. However, it doesn’t come with an app of its own and must be used with a third party app. Abundant Basic Functions: This Veepeak obd2 adapter can perform several basic functions including live sensor readings, graphic live data, reset and a clear check engine light trouble codes, freeze frame data, show route on a live map. It can also do smog checks, allow you to customize the dashboard with data and monitor fuel usage. Uses Less Power: Some scanners are known to consume a lot of power and drain the battery quickly. This is not the case with this Veepeak obd2 scanner because it operates on Bluetooth 4.0 which is known for using minimal power. There’s no universal app for this scanner which is why you must pick a suitable app that is compatible with the operating system of your phone. OBD Auto Doctor: Check and clear basic CEL codes. CAR SCANNER ELM OBD2: Monitors and shows real-time data, checks fault codes, perform car diagnoses, and read sensor data. DashCommand: Live sensor data reading, CEL, and PIDs for a few manufacturers. BimmerCode: Offers to code for BMW. TripLog: Helps track vehicle mileage. Carista: Customization and car diagnoses. LeafSpy: Shows vehicle and battery information in Nissan. Torque Pro: offers customization, performs diagnoses and reads live sensor data. What you can do with this tool depends largely on the app that you use so be careful with the selection. Offers a stable connection and syncs easily. Compatibility issues when using advanced features (no universal app). Connectivity issues when using on iPhones (pairing unsuccessful). This Veepeak OBDCheck BLE Bluetooth 4.0 OBD2 adapter is perfect for DIYers as it offers a balance of basic and advanced features. The streaming speed depends on the vehicle you use it on, but overall it’s very simple to use. This veepeak obd2 scanner is very easy to use, hence, it is perfect for people who want an affordable scanner to solve simple problems on their own. 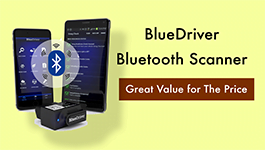 This mini Bluetooth capable obd2 scanner connects to your Android phone or laptop and helps check and clear engine light codes. This veepeak obd2 scanner is very easy to use, hence, it is perfect for people who want an affordable scanner to solve simple problems on their own. However, it also supports a few advanced features. It also reads a few advanced features such as ABS, however, you will have to use an app that offers advanced features. Other than that, some apps are brand oriented. For example, you will have to download the Forscan app to read ABS codes from this scanner if you have a FORD model. Easy To Use: To use this Veepeak obd2 adapter, simply pick an app and download to phone. Plug in the scanner and pair your phone with the obd2 scanner and you are good to go to control the scanner through your phone. To use this Veepeak obd2 adapter, simply pick an app and download to phone. It works with all cars, light trucks, SUVs, minivans that were manufactured in and after 1996 in the US and are obd2 compliant. This scanner supports all the five major OBD2 protocols. The tool may support some foreign models as well. What you can do with the tool depends largely on the app that you use. However, since this scanner offers limited functions, you may not be able to perform a lot of advanced functions advertised through the app. Very easy to use and handle at 0.64 pounds. Very small and can be left plugged in at all times, however that may not be recommended. A little slow due to the Bluetooth 3.0 technology. 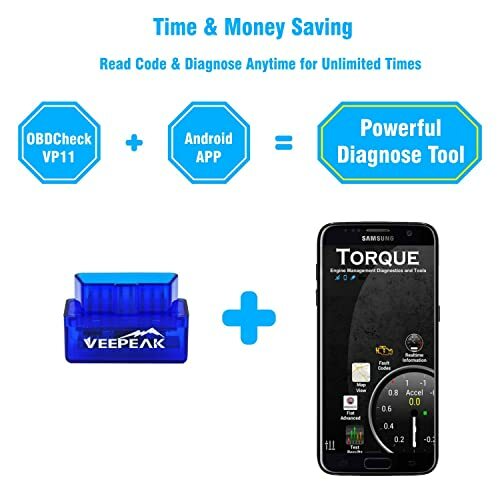 This Veepeak Mini Bluetooth OBD2 scanner is for both beginners and DIYers who want to check car problems from their Android devices. It’s one of the cheapest on the market but can get the job done when used with the right app. The best thing about this scanner is that it is cross compatible and works for every platform including iOS, Android, and Windows. This Veepeak Mini Wifi obd2 scanner is the right fit for car owners who want to perform both simple and advanced diagnostics. It offers phone connectivity but from a third party app. Advanced Features: This Veepeak obd2 scanner offers advanced functions such as RPM, fuel consumption, air intake temperature, throttle position, engine temperature, fuel level, vehicle speed, fuel trim, DPF temp, and o2 test when used with the right app. Dashboard customization is also available and you can also see real-time sensor data. 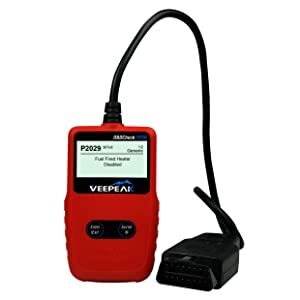 Basic Features: This veepeak obd2 scanner can perform many basic obd2 features such as checking and clearing engine light issues, running smog tests, etc. This Veepeak obd2 scanner supports all cars, light trucks, SUVs, and minivans that were manufactured in and after 1996 (OB2-compliant) in the US and other region models as well. The scanner is also capable of supporting all the five major OBD2 protocols. OBD Car Doctor (free with paid version). This scanner is more suitable for iOS devices because it uses a WiFi connection to connect to the phone and there’s no Bluetooth feasibility. App for Windows: OBD Auto Doctor is the preferred choice for many. App For Android: The only Android app for this scanner is the Torque Pro ($4.95). You can also use the LITE version of this app for free. The downside of running the scanner on an Android device is that the internet is not available for other apps when the scanner is connected. Easy to set up with iOS devices. The size is so compact that is is almost invisible under the dashboard. Offers an excellent refresh rate. Can be very slow on some apps, such as Carista. Cellular data is not available in Android when WiFi is connected. 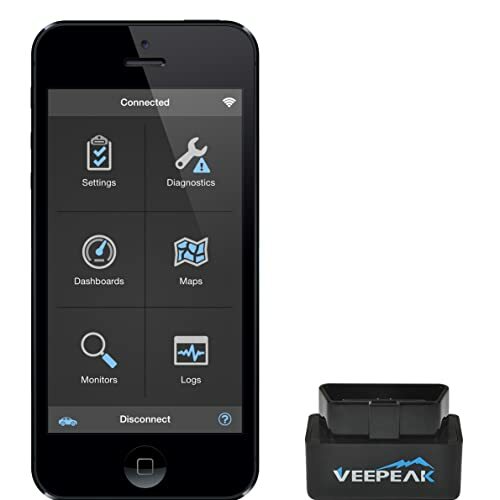 VEEPEAK Mini Wifi OBD2 scanner is for DIYers as it offers some great features. However, Car owners can use it, too. The most special thing about this scanner is its ease of use. There are no batteries, WiFi/Bluetooth connections, hence no need to worry about phone connectivity or software installation. 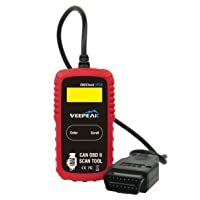 If you are content with using an obd2 scanner that can perform basic functions and is corded then this Veepeak obd2 scanner can be a good choice. Ease Of Use: The most special thing about this scanner is its ease of use. There are no batteries, WiFi/Bluetooth connections, hence no need to worry about phone connectivity or software installation. Features: You simply plug in the scanner and it’s ready to find basic problems such as CEL, DTCs, VIN, CIN, CVN, etc. However, it doesn’t entertain advanced features. Works with all OBD-II/EOBD compliant vehicles that were manufactured in the year 1996 or after in the US and 1998 in Canada. It supports all five major protocols as well: CAN, VPW, PWM, ISO, and KWP2000 protocols. You simply plug in the scanner and it’s ready to find basic problems such as CEL, DTCs, VIN, CIN, CVN, etc. Shows an indication of the problem and you can easily look for a fix online. No internal cells so no risk of battery leakage. The cord may be too short for some users. Doesn’t clears CEL light sometimes even after the problem is sorted. 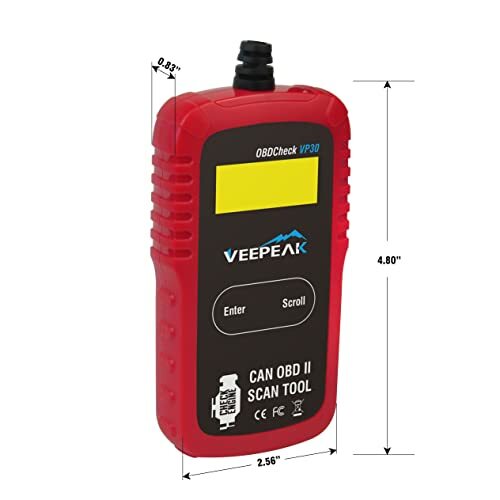 Users who want to check and clear basic trouble codes and are beginners at diagnosing their cars should buy VEEPEAK VP39 scanner. 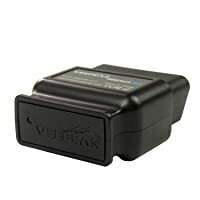 This Veepeak obd2 scanner doesn’t require any connection with a phone, PC or laptop. It’s a plug and play scanner that offers immediate diagnosis and reads codes right away. This Veepeak obd2 scanner is another beginner’s favorite that lets you check and clear basic codes. If you’re content with a corded device then Veepeak OBD2 Scanner Automotive OBD II Diagnostic Scan Tool Code Reader can be a good choice. Although it doesn’t offer any advanced features, the scanner is a breeze to use. 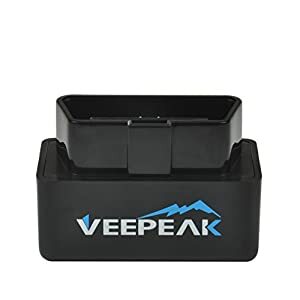 Cost Efficient Solution: This Veepeak obd2 scanner doesn’t require any connection with a phone, PC or laptop. It’s a plug and play scanner that offers immediate diagnosis and reads codes right away. The most attractive feature of this Veepeak obd2 scanner is its price. It is quite cheap but works well. It supports many vehicles that are OBD-II/EOBD compliant and manufactured in or after 1996. 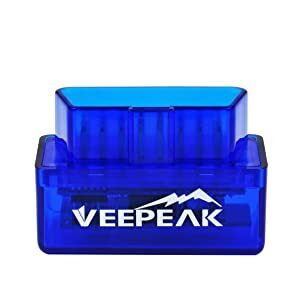 This Veepeak obd2 scanner doesn’t require any connection with a phone, PC or laptop. Accurate at diagnosing the issue. Comes with a manual with details on codes so you can easily solve problems. Doesn’t show DTC code explanation on the screen like Veepeak VP39. Connection issues can be common despite it being a corded device. If you are a beginner and looking for a cheap obd2 scanner then VEEPEAK VP30 will be a good choice as it is quite easy to use. From the Veepeak OBD2 Scanner reviews, what is the best OBD2 Scanner to buy? Now, have a look at the comparison chart below for the top 3 picks of Veepeak OBD2 Scanners recommended in 2019. Bottom Line Veepeak OBDCheck BLE OBD2 Bluetooth is perfect for DIYers as it offers a balance of basic and advanced features. Veepeak Mini Bluetooth OBD2 Scanner is for both beginners and DIYers who want to check car problems from their Android devices. If you are a beginner and looking for a cheap obd2 scanner then Veepeak VP30 OBD2 Scanner will be a good choice as it is quite easy to use. Veepeak OBD2 Scanners are affordable and quite reliable as well. The company is also known for its excellent customer support. Get your hands on one of these and you will have nothing to worry about. All the units come with a warranty and are easy to use.